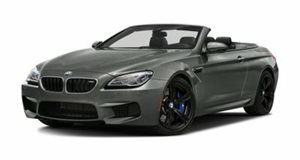 We are going to see a different color BMW M6 and that would be a space gray version. The mule was recently spotted tested on the lovely streets of Munich. The upcoming space gray M6 is set to make its debut sometime next year. From all the spy shots of the upcoming BMW M6, we have only seen the car in black. That is until now. This space gray mule was recently spotted testing on the streets of Munich, Germany. The camouflage level is identical to the recent M6 convertible mules. Despite the heavy tape, it appears that the upcoming M6 will resemble the same rear bumper that&apos;s on the 1M and X3 M Sport. It is still uncertain whether the centerpiece would be black as on the 1M or painted as on the M5.